The Healthcare Gateway customer charter is our promise to put you at the heart of what we do. 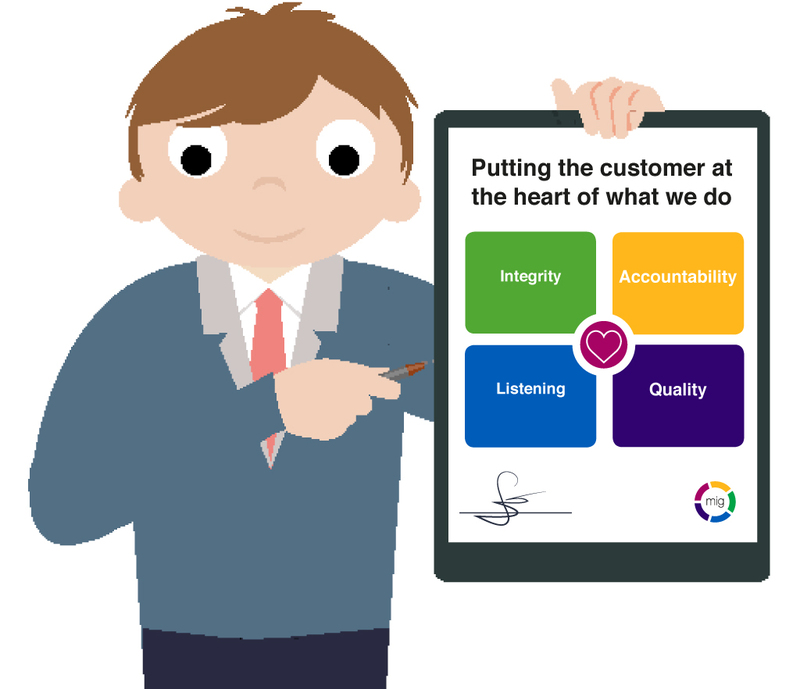 The customer charter explains what our customers can expect from us and what we will strive to deliver. “Having worked with the MIG for the last five years, I am proud of the service we provide to our NHS customers. It gives me pleasure and pride to formalise our customer charter, which clearly states our promise to customers. This is driven by our senior leadership team and we’re committed to supporting the NHS in what is a challenging and changing environment. We always strive for excellence in what we do and these core principals allow our team to focus on providing the best possible customer experience.” Liam King, Director of Commercial and Customer Experience, Healthcare Gateway. Integrity – We will be honest and keep you updated at every stage of your journey. Accountability – We’re accountable for the service we deliver and will work with you to achieve the best possible outcome. Listening – We embrace your feedback and use this to continually improve our service. Quality – We strive for excellence by going the extra mile for you and making promises we can keep. If you have any questions about the customer charter or would like to receive more information, please email us.